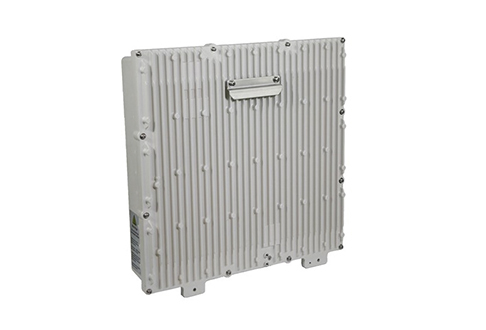 E3-48: A sealed and environmentally hardened VDSL2 node that is vectoring-capable and features a high-density overlay for data and external voice. This model includes mounting on walls, poles, vented cabinets and pedestals. E3-48C: This VDSL2 node includes the same mounting and environmental hardening as the 48 but instead utilizes a high-density combo for integrated voice and data to deliver more reliable and powerful support. E3-12: Deliver high-speed broadband service delivery for your remote and low-density environments. It too is secure and reliable thanks to a compact and environmentally hardened design. E3-2: This is an intelligent PON node that is designed specifically to help collapse access and service edge functions to help inject PON into fiber architecture. Each of the Calix-Occam E3 options is built to be robust and expand your service capabilities while supporting upgrades that can reach 10 Gbps or higher with future PON technologies. The refurbished Calix-Occam E3 family is built to provide a strategic approach for hard-to-reach locations throughout your network and its edge. Rapid deployment is at the core of E3 functionality with a broad set of functions, tools, power options and more to meet a significant range of environments. Worldwide Supply stocks a broad set of used and refurbished Calix-Occam E3 modules so you can expand sealed access in any remote, hard-to-reach, low-density or other specialty environment where your network needs to grow.